Dang, you're really rockin it out!!! Love it SR!! @RogerSNelsson fair point I couldn't find it anywhere on the web although to me it looks more like the XBAND Rough font maybe someone else has created a mutated clone or eroded it and adpated or maybe just improved it we will never know ? @SpideRaY Please don't make font ripoffs or the font companies that sue the designers! Okay? 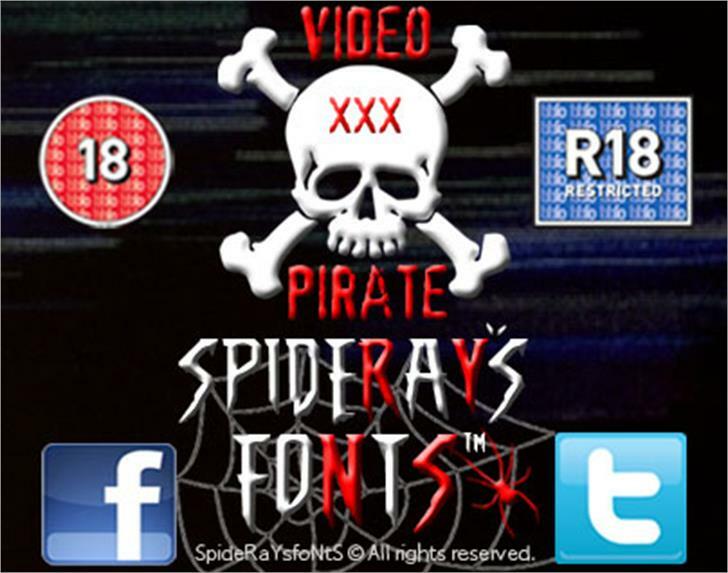 VIDEO PIRATE fan-font is a trademark of SpideRaYsfoNtS.